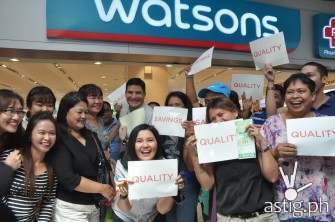 Watsons, the number one pharmacy retail brand in Asia*, gives Filipino families more options for high quality but affordable medicines as it strengthens its branded generics line. For families on a tight budget, healthcare often takes a backseat to more basic needs such as food, and paying the bills. Based on a recent study done by Nielsen, a Filipino family spends only 5 percent of its income for medicines and health-related services. With Watsons Generics, Filipinos do not need to choose between SAVINGS and QUALITY as it assures customers of quality medicine backed by over 170 years of pharmaceutical experience while giving them as much as 80 percent in savings. The generic drugs carried by Watsons Generics are all manufactured by trusted pharmaceutical partners and undergo a 5-step quality assurance process. “We aim to help families by giving them more healthcare options and the ability to purchase affordable, high-quality medicines. This will not just give them access to quality healthcare products, they will also be able to focus their finances on other important matters,” said Danilo Chiong, Health Business Unit Director of Watsons. 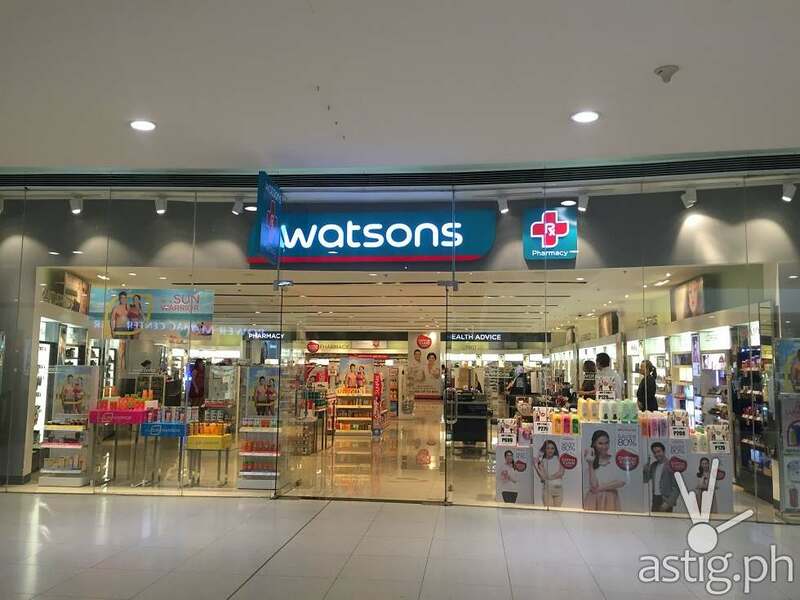 The Watsons Generics line includes maintenance medicines for diabetes, hypertension and cholesterol, antibiotics to fight off the common bacteria, dietary supplements for skin enhancement, anti-ageing and over-all wellness, basic vitamins, oral analgesics, and other over the counter medicines. 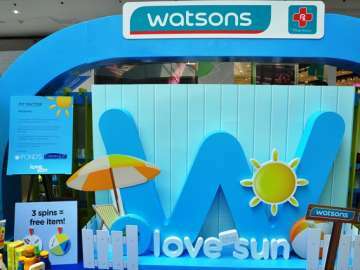 “In the Philippines, Watsons has always been known for our branded beauty products, but with the launch of Watsons Generics our customers now don’t have to go elsewhere to buy their medicine,” says Karen Fabres, Watsons senior marketing manager. 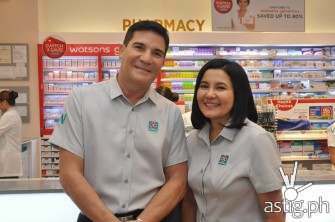 Following the successful Switch and Save campaigns of Tessa Prieto-Valdes, Patty Laurel-Filart, Iya Villania-Arellano and Christian Bautista, the brand takes the campaign further by including Watsons Generics ambassadors as Edu Manzano and Lorna Tolentino in its store visit campaign. 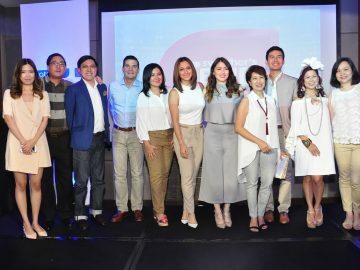 It is through their influence that Filipinos can be educated about their different health options, which will promote Watsons drive to address the gaps of health literacy in the country. 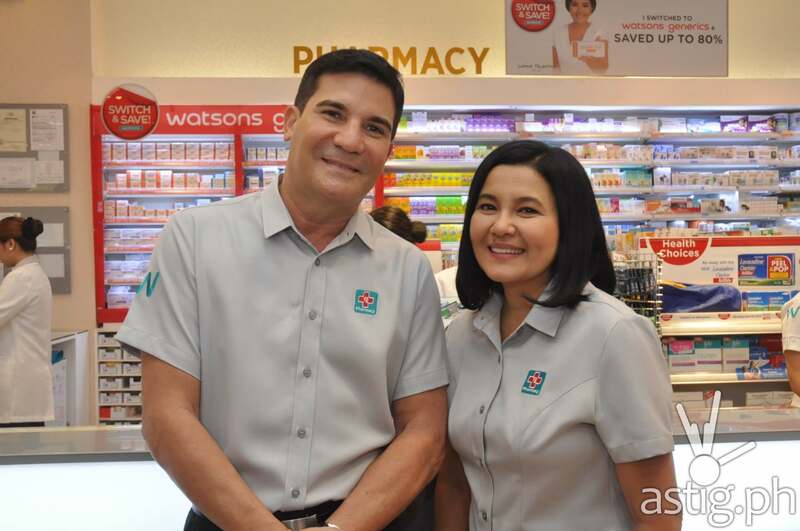 As two of the most respected names in the Philippine entertainment industry for decades and Edu and Lorna’s endorsements have had a great impact on spreading awareness of Watsons Generics line. 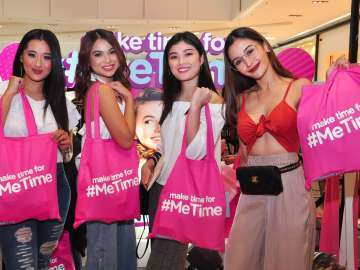 The two celebrities surprised shoppers at the SM Mall of Asia as they proudly wore the Watsons uniform and helped shoppers choose the best value products especially at the pharmacy section. 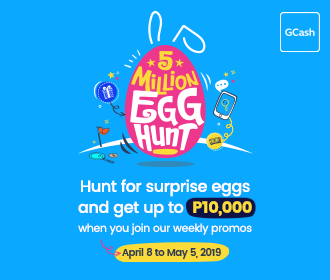 They even played a mini-game where shoppers were asked several questions and given the choice between SAVINGS or QUALITY. choosing medicines, are you for SAVINGS or QUALITY? And how you can get both simply by buying Watsons Generics. You can save up to 80% and get over 170 years of pharmacy experience on its wide range of quality medicines,” relates Edu. But more than their influence, Edu and Lorna are also role models when it comes to being proactive about taking care of one’s health. “As we age, we have to take extra care of our bodies, so I make sure that I have a stock of Watsons Multivitamins + Iron regularly to boost my immune system. In the mornings I have the Calamansi Flavored Psyllium Fiber thats tangy and good for digestion,” the actor added. Edu also suggests the Cranberry capsules which is suitable for urinary tract infection and Luyang Dilaw for overall wellness. Just like Edu, Lorna, takes vitamins regularly, “to boost my immune system, I take Ascorbic Acid, especially now na tag-ulan dahil mas madali tayo magkasakit and siyempre kapag puyatan sa taping or shooting. To maintain her youthful glowing skin, Lorna credits Watsons Glutathione, Vitamin E and Hyaluron Collagen Powder. 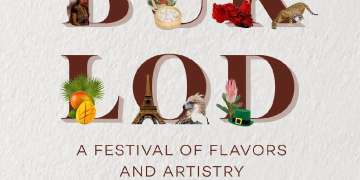 “Kailangan healthy and beautiful ka rin from the inside,” the grandslam actress revealed. 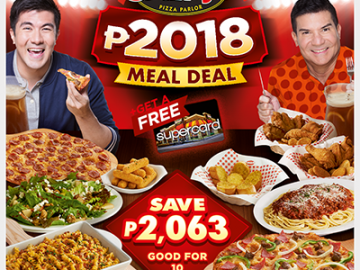 Just like the Watsons’ celebrity ambassadors you too can maximize your purchasing power allowing you to properly take care of your health and spend more on the things you really want in life.